For every step forward, Malawi seems to be moving two in reverse on ending child marriages. Figures from the latest study by the AU campaign to end child marriage in Africa are scaring. The study—completed in October 2015, but released on December 2—shows that nearly 65 percent of women in Malawi with no formal education are child brides, compared to five percent of women who attended secondary school or higher education. “Dropping out of school means girls often lack even basic literacy and numeracy skills. One study found that each year of marriage before adulthood reduces a girl’s literacy by 5.6 percentage points,” it reads in part. Worse still, it says daughters of uneducated mothers are especially likely to drop out of school, marry young and repeat the cycle of poverty. In fact, a 2014 Human Rights Watch report ‘Child Marriage in Malawi’, corroborates this. “Many girls drop out of school as a result of pregnancy. Available data shows that between 2010 and 2013, 27 612 girls in primary and 4 053 girls in secondary schools dropped out due to marriage. During the same period, another 14 051 primary school girls and 5 597 secondary school girls dropped out because they were pregnant,” it states. The 2012 United Nations Population Fund (UNFPA) child marriage profile for Malawi adds that child marriage in Malawi occurs more frequently among girls who are least educated, poorest and living in rural areas. On average, one out of two girls will be married by their 18th birthday; In 2010, half of the women between 20-24 years of age (50 percent) were married/in union before age 18, according to the UNFPA report. Again, a 2014 proposed programme model on ending child marriages in Southern Africa by International Centre for Research on Women and Plan International shows that Malawi bears the 11th highest rate of child marriage globally and ranks second in the Sadc sub-region. It says the prevalence of child marriage in Malawi exceeds significantly the sub-Saharan Africa regional average of 37 percent. “The districts with the highest rates of child marriage and early sexual activity are Mulanje, Phalombe and Chikwawa, where around 80 percent reported being married by age 18 and around 90 percent were sexually active at age 18, while the lowest were Blantyre, Ntchisi and Rumphi. Even in these districts, however, around half of women were married by age 18,” it reads. Failure to complete a basic cycle of primary and secondary education not only limits future opportunities for children, but also represents a significant drain on the limited resources that Malawi has. Quoting the World Bank, a 2010 Unesco paper titled School Dropout: Patterns, Causes, Changes and Policies, shows that the Government of Malawi allocated 4.2 percent of Gross Domestic Product (GDP) towards public educational expenditure in 2007, which represented around $195 million (about K309 641). Of this, 55 percent was allocated towards primary school, but with primary school dropout rate of 65 percent in 2007, Unesco estimates that nearly half a million school places were taken up by children who fail to complete primary school. “In monetary terms, this broadly represented an annual expenditure of $60 million, 1.3 percent of GDP in 2007 on the education of children who probably left schooling without any basic skills,” it says. That was 2007. The figures on dropouts linked to early marriages and pregnancies between 2010 and 2015 are even more appalling. According to spokesperson for the Ministry of Education, Rebecca Phwitiko, expenditures per student are largely related to instructional costs, and include all expenditures that deal with activities involved in the teaching process, such as salaries and instructional supplies. “Government expenditure per student (excluding development budget) for the 2014/2015 Financial Year stands at K10 500 at primary level and K49 542 at secondary level. Please note that expenditure varies from year to year taking into account increasing costs, among others,” she says. Basing on the Human Rights Watch figures that between 2010 and 2013 about 27 612 girls in primary and 4 053 girls in secondary schools dropped out due to marriage, simple calculations (using the current expenditure per student) show that government wasted about K289, 926,000 (about $462,677) at primary and K200,793,726 (about $320 436) at secondary level. During the same period, another 14 051 primary school girls and 5 597 secondary school girls dropped out because they were pregnant, meaning that another K147, 535,500 (about $235 444) and K277 286 574 (about $442 507) at primary and secondary school levels respectively went down the drain. Between 2010 and 2013, government therefore wasted a whooping K915 541 800 (about $1.46million) on female students who never completed both primary and secondary education. In addition, between 2014 and 2015, Phwitiko says 8 898 girls and 6042 boys dropped out of school at secondary school level. With an average of K49 542 spent on a student per year, it roughly entails that government wasted K440 824 716 (about $699 987) for girls who dropped out of school and an additional K299 332 764 (about $475 312) for boys. There are currently no definite figures on the number of primary students who dropped out of school between 2014 and 2015 at the moment. The danger, as indicated in the AU Campaign to End Child Marriage in Africa is that daughters of uneducated mothers are especially likely to drop out of school, marry young and repeat the cycle of poverty. This is also evident in the Ministry of Education’s 2014 Monitoring Learning Achievement In Primary Education Malawi Report, which revealed that children whose parents have gained higher qualifications are more successful during tests, than those whose parents never went far with school. Recently, the World Bank (WB) revised downwards Malawi’s real GDP growth rate to 2.8 percent from its earlier estimate of 5.1 percent made in February this year. With such a revision, the WB estimates that the proportion of poor households living under the new international poverty line of $1.9 (about K 1,212) per day is expected to increase marginally from 69.7 percent in 2014 to 69.9 percent in 2015. 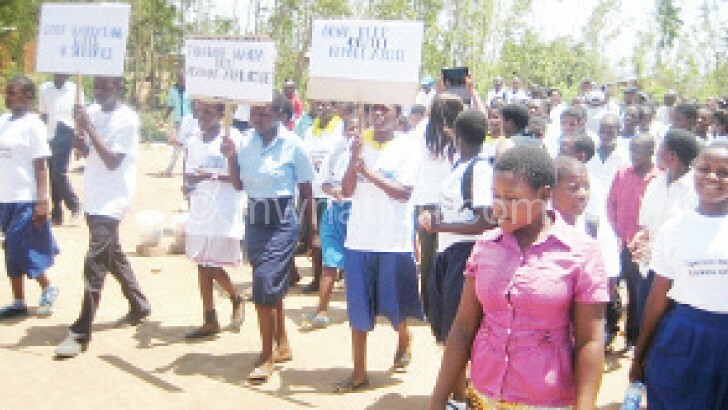 No wonder, when female students from various schools in Mulanje recently told Minister of Gender, Children, Disability and Social Welfare, Patricia Kaliati, that most schools do not have adequate teaching and learning materials, her response was disheartening and brutally honest in equal measure. “Instead of being in school, you [girls] are busy dropping out to get married and end up bearing many children. It is especially disheartening that some NGOs are helping you, but you prefer marriages,” charged Kaliati. “The high rate of child is leading to an increase in population and exerting pressure on Malawi’s overstretched resources. Please remain in school,” she pleaded. At the moment, government is yet to deploy about 19400 teachers to primary schools in the country, despite having one of the highest pupil-teacher ratios at 74:1. Civil Society Education Coalition (Csec) executive director Benedicto Kondowe says delays by government to deploy these teachers, especially female teachers is a recipe for drop outs. “We all know that female teachers motivate girls to remain in school and if we can’t employ them, then we are saying we want drop outs to continue. When female students are confronted by male students, they feel unease and eventually drop out, “ he notes. “Technically, we have what I call ‘Inbuilt push factors for girls to drop out’ because the environment is not conducive for the girl child. We need strategic thinking, if we don’t do this, we will continue investing in children who won’t complete school,” he warns. Has government done enough? Phwitiko believes construction of girls’ hostels, 50-50 selection policy in day secondary schools, scholarships for girls and launch of National Girls’ Education Strategy will help increase girls’ enrolment and retention. “In addition, Mother-Groups bring together women to create an organised and cohesive unit with the responsibility of getting children into school and keeping them there,” she says. However, a 2015 Joint CSO Cedaw (Convention on the Elimination of All forms of Discrimination Against Women) Shadow Report for Malawi bemoans government’s over reliance on ‘Mother Groups’, saying, these Mother Groups lack the necessary skills and training to provide the necessary counselling. While some NGOs are paying bursaries for female students, others have embarked on advocacy campaigns. The fact remains: Child marriage lies at the intersection of a broad set of problems facing girls, who are disproportionately affected by harmful cultural and religious beliefs and practices. 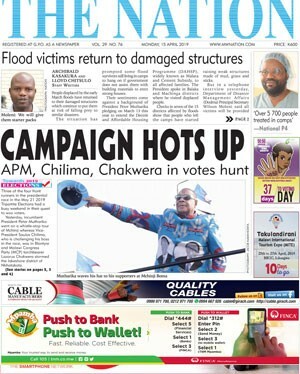 Addressing it, therefore, must remain at the core of Malawi’s priorities.